HEATHER Wehl knows all her regular customers by first name, but she has always known the end of an era would come for hiring out movies. 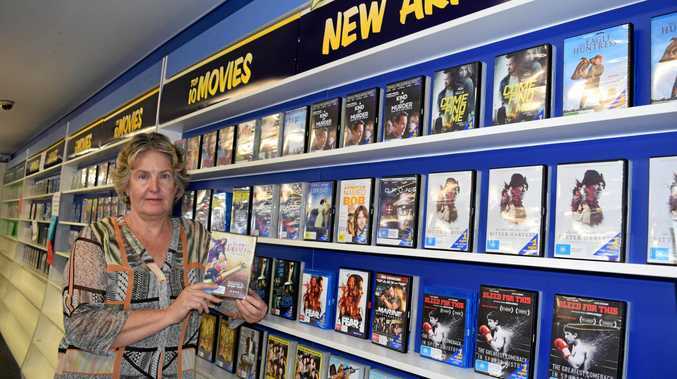 Blockbuster in Hervey Bay will shut up shop on Saturday, August 19. Heather has been the franchisee of the store for the past nine years and what a journey it has been. Will you miss Blockbuster when it closes down? This poll ended on 08 August 2017. From line-ups out the door on election night and during wet weekends to the release of new movies and serving customers from two generations to a decline in business from 12 staff to four. "Gone are the days of high demand...everyone is still watching movies but our method has come to an end and it is hard for us to compete," Heather said. "I'll take a deep breath, sit down with a bottle of champagne and who knows what I will do next." The business opened a bit over 30 years ago as Parklane Video on the Esplanade and since then it has moved twice. Heather and her husband, who also own a store in Brisbane, became the franchisees of the Bay store after moving up to 'retire'. "I got bored and was too young to retire," Heather said. It has been emotional last couple of weeks following the announcement to her customers that they will be closing down. "I have a customer who has been coming in every Friday, my customers have become like family," Heather said. Two groups Heather believes the closure will affect most is the aging population who don't want to watch netflix, her regular customers and a couple of customers with disabilities who have gotten used to the routine of hiring movies. The store on Boat Harbour Dr will have huge discounts on stock for their closing down sale with movies currently prices between $6 and $15.